First stop is Newcastle and a town that Irresponsible Life has visited before for an 8 hour city experience. I was pleasantly surprised to see the city has expanded even more, with Hunter Street Mall, now home to even more bleedingly cool cafes and boutiques. But before coffee comes food. The name isn’t just for show, the restaurant is dedicated to owner Cathy’s German Grandmother (Oma in German) who ran a guest house in Germany and handed down the recipes to Cathy. All I can say is that I glad she did. 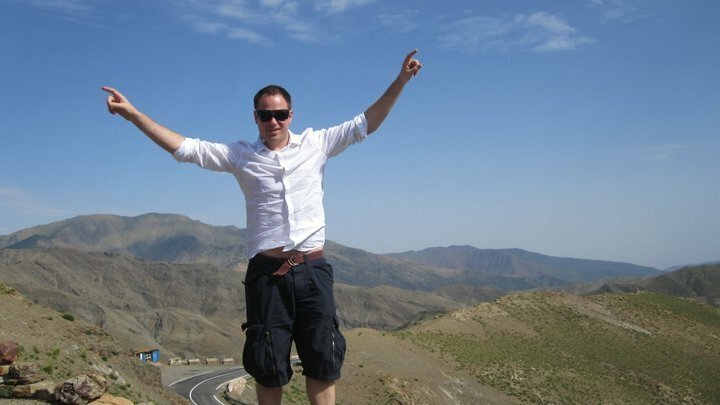 Some international restaurants taste nothing like the same food would taste in their home country, but that is not something that Oma’s can be accused off. 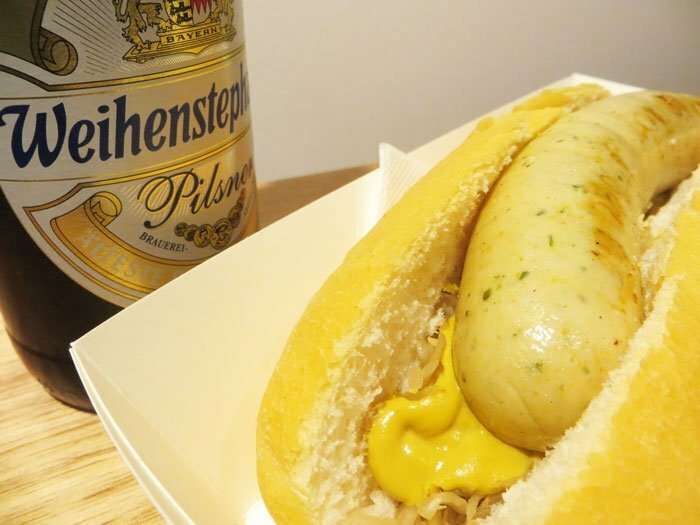 Upon first bite your tastebuds will be transported to the hillsides of Bavaria. 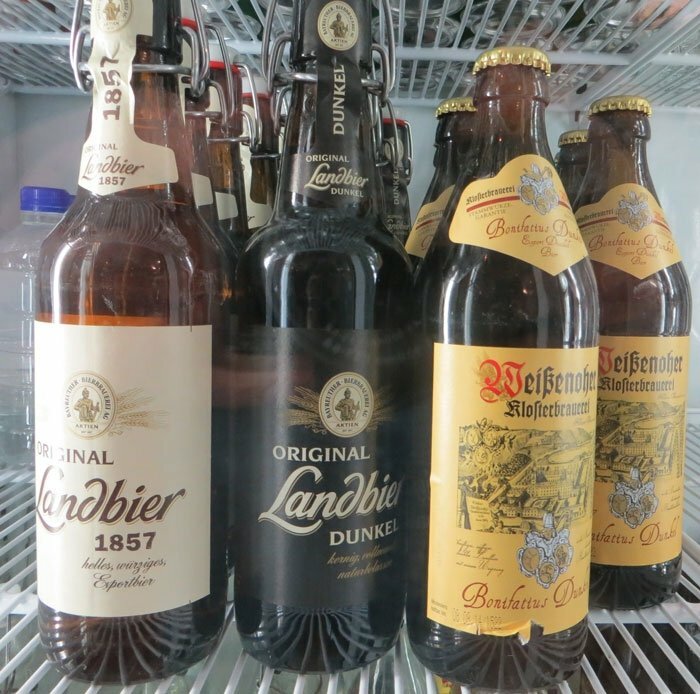 They have an epic selection of German beers available as well, and not the type that you can find in your local bottle-shop. Careful attention has gone into finding beers that you will have trouble finding anywhere else, and have just as much trouble pronouncing. 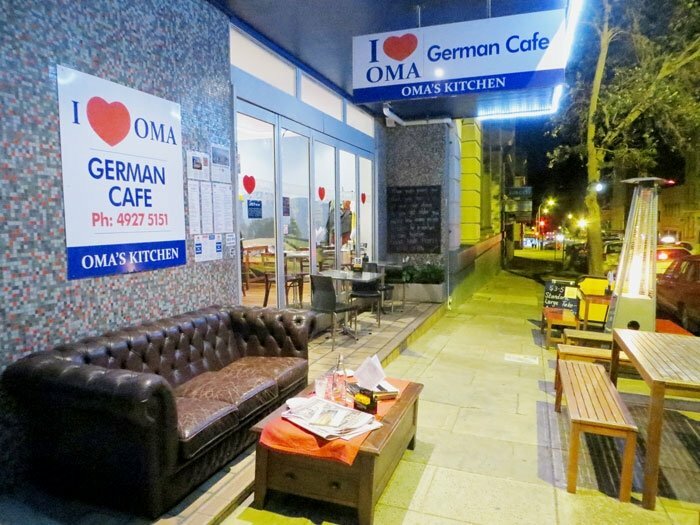 Oma’s is really for everyone and takeaway options start from just $5. I grabbed her famous Pork Sausage with Sauerkraut and Mustard for $6. The beer pictured (from the shop around the corner, as Oma does not have take away alcohol licence) actually cost more than the hot dog. Something similar in near by Sydney could easily cost up to $12 or $15 takeaway. Thanks for the good value Oma! Chomping into sausage and a cold German beer was the perfect way to watch the Sunset over busy Newcastle Harbour. The next day it was up early (well holiday early) at 9am. Time for a quick coffee at Ground Floor cafe, before heading north of past Port Stephen’s to Myall Lakes National Park. 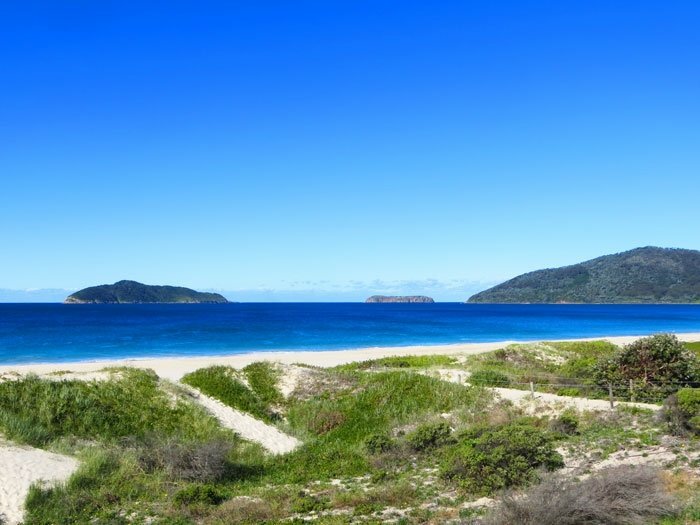 It can be very tempting to stay on the highway, but take a tourist drive towards the coast and you will be rewarded with quiet beachside towns and beautiful scenery in National Parks. Offshore Islands as seen from Hawkes Nest Beach. 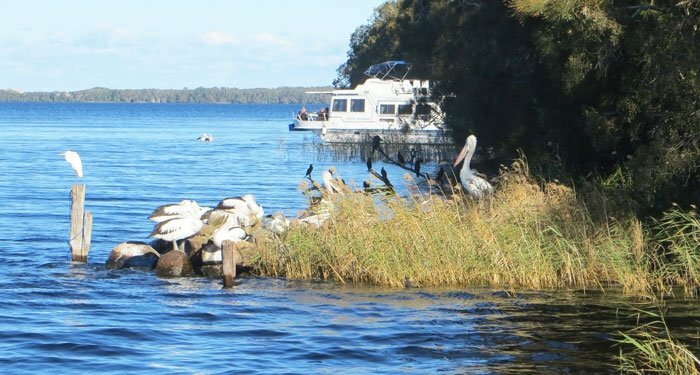 The drive through beach towns of Tea Gardens, Hawkes Nest, and returning to the freeway via the Bombah Point Car Ferry. Much of the road is dirt but any 2WD car can handle it no problem. 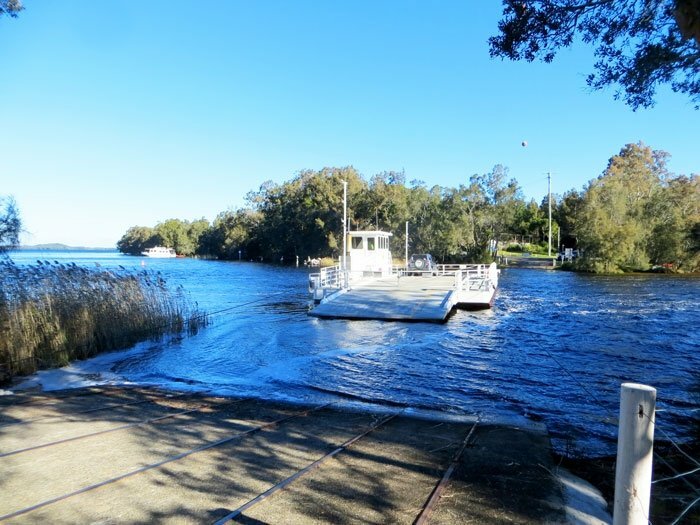 Bombah Point Car Ferry in action. A flock of pelicans as viewed from the Ferry. With the national park cleared and a healthy layer of dust on the car, it was a speedy trip up the Pacific Highway to the home for the night – Coffs Harbour. This entry was posted in Oceania, Travel and tagged Australia, myall lakes, national parks, nature, Newcastle, NSW, photography, travel. Bookmark the permalink.